Today I attended the first of four flower arranging workshops sponsored by the local garden club. What a fun, if humbling, time. The style for this initial class was a classic design, a round table arrangement. 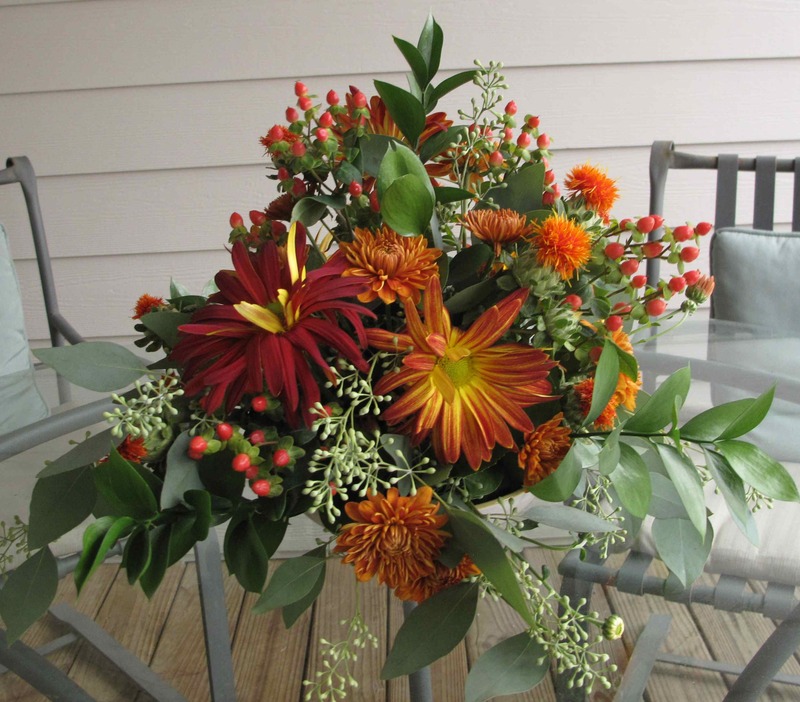 The instructor gave a concise and clear introduction to the design elements, color and texture, and to the design principles, balance and rhythm, as they relate to flower arranging. Next she demonstrated how to establish the circular shape using outline foliage, then continued stepping through each stage, describing each component we would use in the design. Soon it was our turn and the rest of the two hours passed all too quickly. I was one of the last students to leave. I wish there had been a little more time to reflect and analyze as I went along but I will practice this style again (and again) to work through the techniques. The next class is not until after the new year, but I am already looking forward to it. 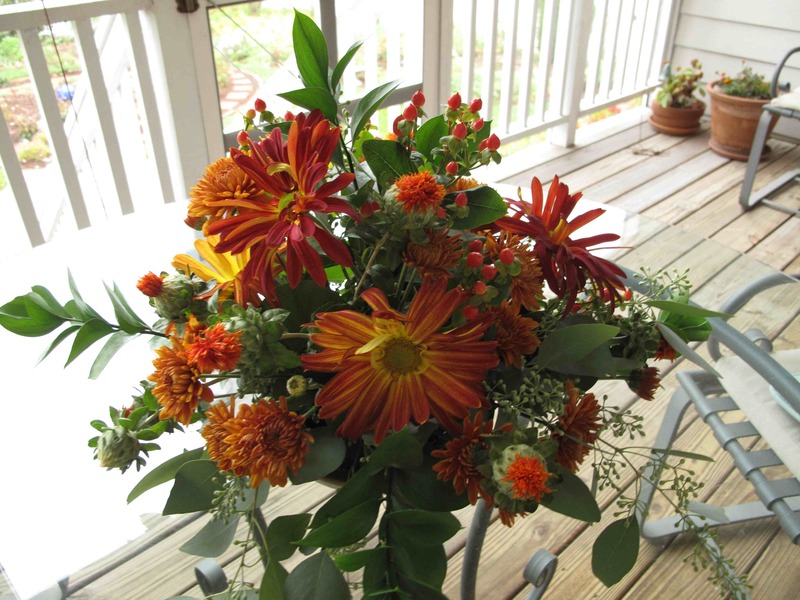 This entry was posted in garden and tagged floral arranging on November 13, 2012 by pbmgarden. Thanks! I’m so glad I decided to take the class. I enjoyed it, but it was a lot more difficult than I had expected. Thanks. With holidays starting soon there will be chances to practice more flower arranging. Photographing the arrangement was a challenge, so will have to work on that too. Such beautiful autumn colours, lovbely arrangement too! !